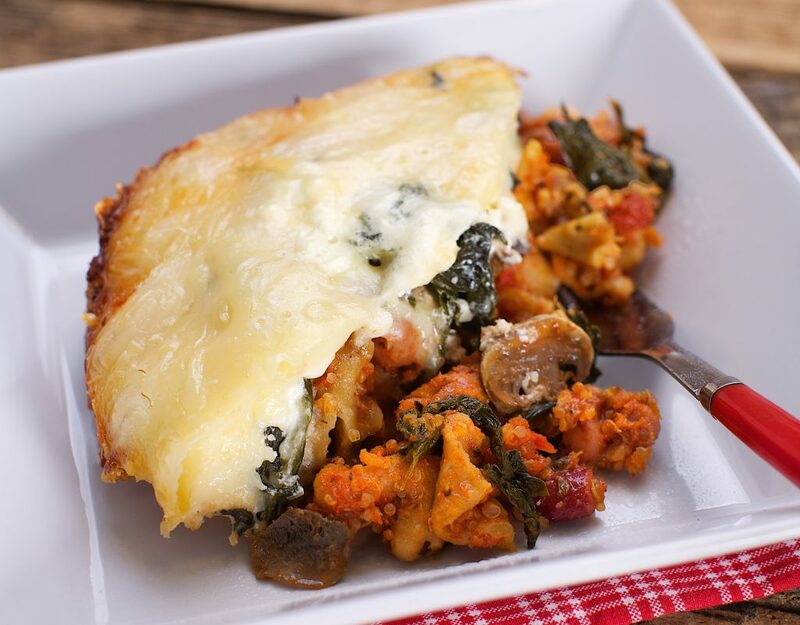 This slow cooker vegetarian lasagna recipe is great for those hectic days when you are driving one child to hockey practice and the other to a music lesson. Leftovers are fabulous the next day; it’s a great big pot of love. Grease a 6­ quart (6 L) slow cooker with canola oil. In a medium bowl, combine the mixed beans, pasta sauce, diced tomatoes, quinoa (yes, it’s uncooked! ), Italian seasoning and oregano. Mix well and set aside. Place one layer of noodles on the bottom of the slow cooker, breaking to fit. Top with half of the bean–pasta sauce–quinoa mixture. Top with half of the mushrooms, and half of the spinach. Top with half of the cottage cheese. Repeat the layers: noodles, bean–pasta sauce–quinoa mixture, mushrooms and spinach, cottage cheese. Top with all of the mozzarella cheese. Cover and cook on Low for 5 hours. Let sit for 5 minutes, then scoop out servings. Serve with a mixed green salad. My favourite recipes are always the simple recipes, which means my slow cooker gets a lot of use! This is a fabulous dish that I’ll be testing out soon…Thanks! I made this lasagna today and the flavours were awesome. I did, however, find it a little on the dry side. Maybe I should cook it less than 5 hours on low or and more liquid to the sauce. Your thoughts, Mairlyn? Check it at four hours, your slow cooker might be less deep than the one we used, or if you want add 1/4 cup more liquid. I really like the short rib recipe that you creating in your new slow cooker. During the segment on Cityline you mentioned buying a new slow cooker. Would you be so kind as to share the brand of your new cooker, as it looks like the new slow/presser cooker type. I would love to know what you think of the slow/pressure one.